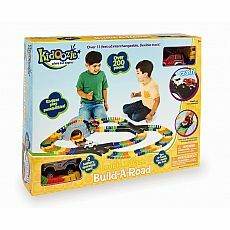 Kidoozie Little Tuffies - Totally Thomas Inc. 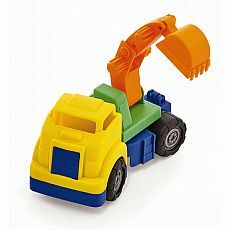 Create your very own construction site with these colorful Little Tuffies Construction Trucks from iPlay™! 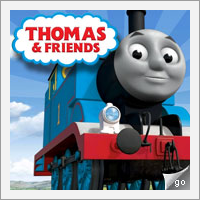 Endless outdoor adventures await the foreman of this fleet. 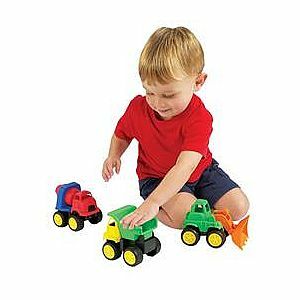 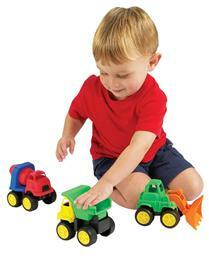 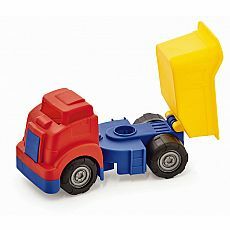 Little Tuffies trucks have real working parts and are made of sturdy plastic. 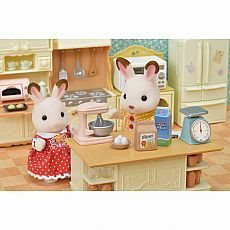 Measures approximately: 4.75 x 15.50 x 4.25 inches..